On May 19, 2016, the Executive Committee of APN's Board of Directors unanimously adopted the following policy regarding ongoing efforts in the U.S. Congress and in various state capitals to pass legislation dealing with BDS and the occupation. Consistent with longstanding policy, APN rejects and opposes BDS against Israel. As a tactic to challenge Israeli policies that are inconsistent with Israeli-Palestinian peace, APN believes BDS is the wrong approach, viewing it as misguided, ineffective, and counterproductive (see our policy, here). Consistent with longstanding policy, APN advocates boycotting settlement products and recognizes the legitimacy and potential value of other activism directly and narrowly targeted at settlements and the occupation (see our policy, here). 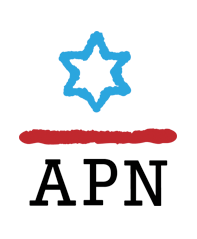 APN opposes legislation and other initiatives that conflate Israel and the settlements, whether explicitly (i.e., legislative language defining Israel to mean “Israel and territories controlled by Israel” or similar formulas), or implicitly (e.g., by applying legislation not simply to Israel or companies in Israel, but to companies incorporated in Israel, regardless). While APN opposes BDS targeting Israel, APN also opposes legislation defining all those who support boycotts and other legal, non-violent activism targeting Israel as anti-Israel or anti-Semitic. Some BDS supporters are certainly motivated by anti-Semitic or anti-Israel agendas; many more are motivated by legitimate frustration over Israeli policies and actions. Legislative initiatives that treat all BDS supporters as members of the first category are as misguided and counterproductive as BDS efforts that target all Israelis for the pro-settlement policies of their government. -- Recognizing and rejecting pro-settlement, anti-peace policies that feed the growing support for BDS today, and working publicly and concretely to oppose and change them. -- Rejecting efforts to conflate Israel and the settlements and instead supporting boycotts and recognizing the legitimacy and potential value of activism that squarely targets settlements and the occupation. -- Ceasing efforts to limit free speech. BDS supporters, regardless of their motivations, are entitled to their views and to their legal, non-violent forms of protest, just as opponents of BDS are entitled to challenge and criticize them in ways that do not trample on the First Amendment rights of any party. -- Challenging BDS on its merits – through statements and other public messaging – in order to demonstrate why BDS against Israel is a misguided, counterproductive tactic in the fight to end the occupation, and to illustrate how activism focused on settlements and the occupied territories is a better way to achieve that goal.